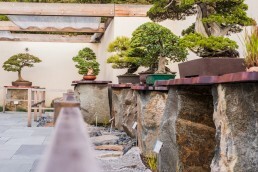 The National Bonsai Foundation sustains the National Bonsai & Penjing Museum at the U. S. National Arboretum. The Japanese Pavilion, which was built in 1976, was in dire need of renovation and improvements. NBF needed a feasibility study to help its Board decide how to move forward on an ambitious fundraising campaign for the Pavilion. NBF engaged Capacity Partners, based on a recommendation from one of its Board members, to conduct a feasibility study. In order to restore the Japanese Pavilion, NBF would have to raise more money than it ever had before. Capacity Partners conducted a feasibility study that allowed the NBF Board to gain a better understanding of the organization’s strengths and weaknesses. When NBF leadership decided to moved forward on a campaign for the Japanese Pavilion, Capacity Partners then developed a detailed fundraising plan and Julie Crudele joined the project team as campaign manager, working closely with NBF to execute the plan. The feasibility study allowed NBF to determine the best path forward at a critical juncture. In 2012, as NBF celebrated it 30th anniversary, it launched the Campaign for the Japanese Pavilion: A Gift Renewed. A philanthropic member of the Board stepped forward to make a promised gift of $1.5 million toward the ambitious $2 million campaign total, and the organization is now working toward a $500,000 fundraising goal, with ongoing campaign management by Capacity Partners.